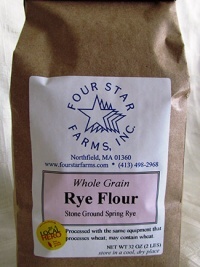 Bread flour make a stronger, more elastic dough that is perfect for sourdoughs, yeast breads, pizza crusts, rolls and bread machine loafs. 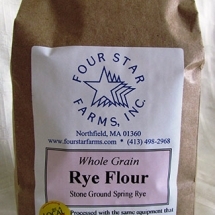 Glenn (hard red spring) a hard red spring with with a lovely wheat flavor that is excellent in any bread and pasta applications. As-Is Protein: 14%; Falling Number 401. 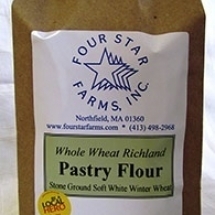 Redeemer (hard red winter) a hard red winter wheat with a mild flavor that is nice in all bread and pasta applications. As-Is Protein: 11%; Falling Number 244. 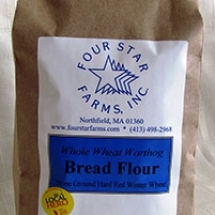 Warthog (hard red winter) a hard red winter wheat with an intense wheat flavor that is appropriate for artisan or sourdough breads. As-Is Protein: 11%; Falling Number 391. 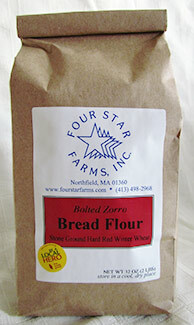 Zorro (hard red winter) a hard red winter wheat with a less assertive wheat flavor that is nice in a sandwich loaf. As-Is Protein: 11%; Falling Number 429. 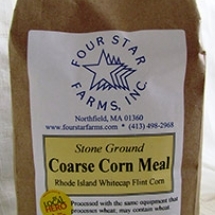 If you’re looking to make a heartier loaf with more texture, we’d recommend using the whole wheat bread flour. 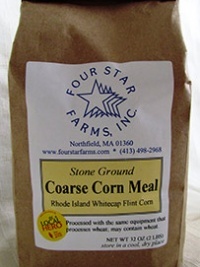 Looking to make a loaf that is a bit lighter or you’re not quite sure if you want a lot of texture? 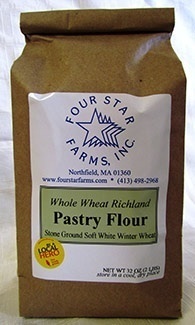 Try our bolted (sifted) bread flour.